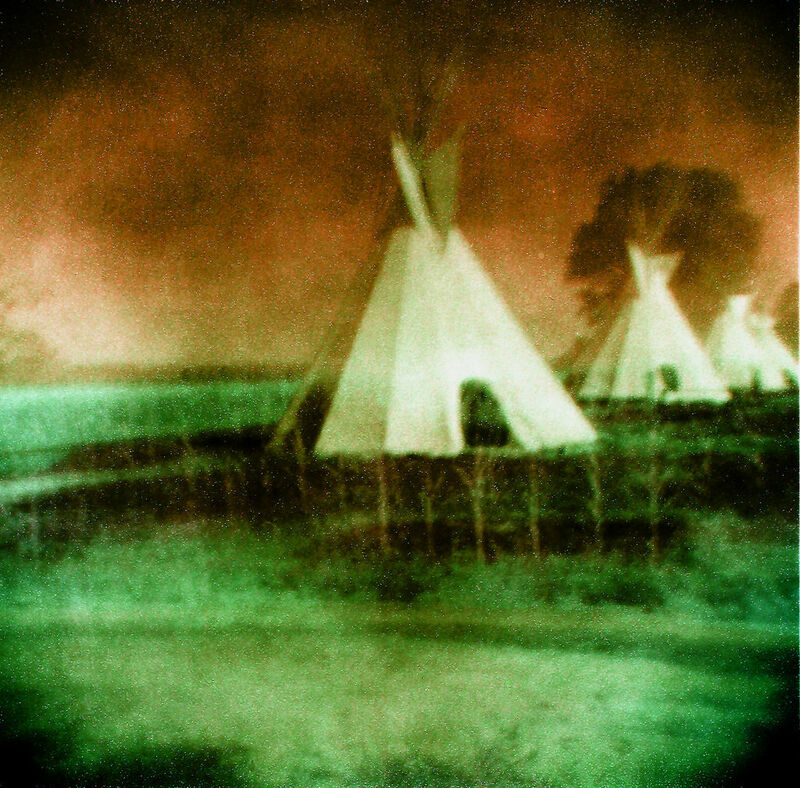 Some Native American tribes believe that Ghost Sickness (which shares some similarity with depression) is caused by an ongoing connection with the dead or dying. Symptoms can include general weakness, fatigue, dizziness, decrease in appetite, a feeling of suffocation, recurring nightmares, feelings of terror, obsession with death, hallucinations and confusion. The sickness originates in a person’s attachment to the dead and their ghost. Ghosts, in some Native American traditional views, are said to be the residue of unprocessed trauma, and other “bad” traits of a person’s life. The ghostly residue is too ill and maligned for one’s spirit to carry it to the next world—a state of universal harmony. Some traditional Native American’s worldview holds that life is more cyclical in nature than our typical Western linear view, where perception of time happens as one moment after the next. Native Americans have what the National Indian Child Welfare Association (NICWA) term “a relational world-view that is more cyclical in nature. It is not oriented in time, but instead believes that all events affect each other, regardless of when the event occurs—past, present or future.” In some Native American traditions, it is believed that everyone is a part of an energy field. It is believed that this energy results from the flow between mind, body, and spirit. Illness is the result of the flow being disrupted. In this context, ghost sickness is understood more clearly. Through cultural changes and social displacement, traditional burial and mourning rituals have changed (while internal beliefs haven’t) and the deceased are unable to be at peace on their new spiritual plane. As a result, ghosts of the dead cause physical and mental problems for the living. Having not been allowed to practice the rituals themselves, the mourners suffer from Ghost Sickness, cyclically caused by the inability of the deceased to be at peace. Ghost sickness is brought on by the fear that the dead are trying to take someone with them. It becomes an obsession with death. Any of us would feel sick if the dead were trying to take us away with them. Even though some of the spiritual beliefs underlying Ghost Sickness seem abstract, we’ve seen many people who seem to be suffering from a complicated grieving process that looks much like this disorder. We hold onto our longing for our loved ones, and in how deeply we miss them, we leave our present reality and get lost in our mind of longing. Most of us have heard a story of the older couple that has been together for many, many years and they die in quick succession of one another. The husband will die of a stroke, for instance, and within weeks, the wife (who was healthy by all accounts) dies in her sleep. This issue is found in Native American culture and is now widely accepted to be a health issue in most cultures. Originally studied in Japan, Takotsubo (stress-induced cardiomyopathy) is a type of heart problem in which there is a sudden temporary weakening of the muscle of the heart. This weakening can be triggered by emotional stress, such as the death of a loved one, a break-up, or chronic anxiety—the condition is also known as Broken Heart Syndrome. Broken Heart Syndrome is a well-researched cause of acute heart failure. In a John Hopkins study researchers found that people may respond to abrupt, devastating emotional distress by releasing large amounts of adrenalin and noradrenalin into the blood stream. These neurochemicals can be temporarily toxic to the heart, effectively stunning the muscle and producing symptoms similar to a typical heart attack, including chest pain, fluid in the lungs, shortness of breath and heart failure. The shock of losing a partner that one has loved for 50 years may be just enough to literally, break one’s heart. We imagine that the saying, “I have a broken heart” has roots in this syndrome. Both Ghost Sickness and Heartbreak Syndrome seem to be primarily triggered by loss and grief. In our studies on this issue, we came across another blog post by Hilary Hart that we really enjoyed. It goes into much greater depth about Native American grief and the grieving process in general. Check it out! You can find more information on Native American mental health at NAMI. Tags: american indian, broken heart syndrome, depression, ghost sickness, grief, multicultural mental health, native american. Bookmark the permalink.